WE ARE ALL ABOUT EMPOWERING PEOPLE, IMPROVING LIVES, AND INSPIRING HEALTH. MedZed is redefining what it means to facilitate the important connection between patients with complex medical and social needs and healthcare providers. 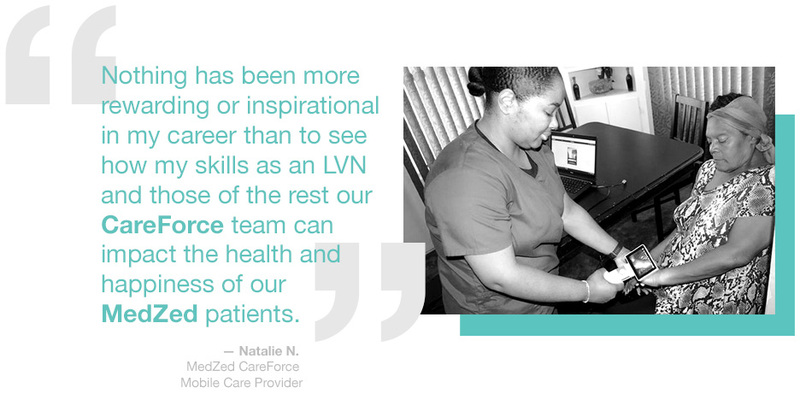 Our staff of employees is made up of compassionate, motivated and skilled individuals committed to bringing quality health care to where it is needed most — the home. WE INVITE YOU TO VIEW OUR CURRENT EMPLOYMENT OPPORTUNITIES AND INNOVATE WITH US.